FOLLY ISLAND, South Carolina -- A bomb squad is at a South Carolina beach after Hurricane Matthew apparently unearthed old Civil War cannonballs from the sand. 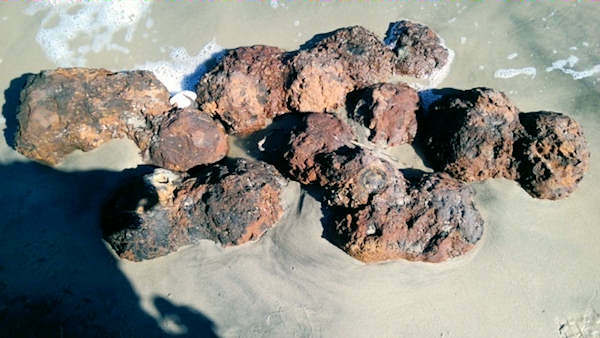 Charleston County Sheriff's spokesman Maj. Eric Watson said in a news release that the cannonballs were found on Folly Beach on Sunday afternoon, but bomb squad members couldn't get to it immediately because of the rising tide. Once the ocean level goes down, Watson says technicians will make it safe. He warned residents might hear a small boom. The first shots of the Civil War were fired at nearby Fort Sumter in 1861.